PG Calculator is an excellent replacement for a standard calculator. PG Calculator works in Algebraic and RPN modes. PG Calculator is available in three different versions: Free, Standard and Pro. There is a library of common mathematical and physical constants which can be used in calculations in both RPN and Algebraic modes. PG Calculator also allows to use user-defined variables in expressions. PG Calculator has built-in Time Value of Money solver and IP Subnet Calculator. 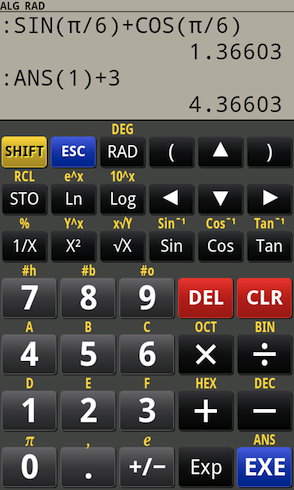 The user interface of the calculator can be changed by using various skins supplied with the application.